Fantastic stay, very well looked after, great staff! When would you like to stay at YHA Windermere? Overlooking England’s largest natural lake, YHA Windermere offers the chance to stay in an idyllic countryside setting only 2 miles from Windermere. The hostel is an ideal base for anyone wanting to escape the crowds, and perfect for activity breaks and family holidays, whilst children will love the large wooded grounds. Relax with a drink on the terrace and enjoy good quality food from our restaurant and bar. We're now home to some colourful new tipis too, so you can wake up enjoying panoramic views of the lake and mountains. We have 69 beds in total, and most of our rooms are 4 bedded rooms. The hostel is situated in 4 acres of grounds, and has a bar/restaurant and lounge area for guests to enjoy relaxing in. Get all the fun of camping but without any of the set up stresses with these beautiful tipis - part of the YHA Glamping experience. These spacious tipis are fully kitted out with bedding and can sleep four people on mattresses. They have a wooden floor which is partly carpeted and a lockable coffee table chest which you can store you belongings. 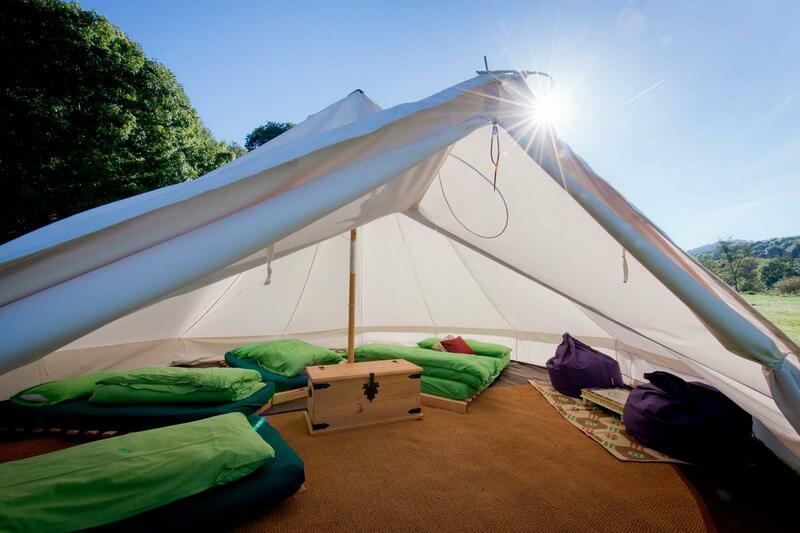 There's also eco-friendly solar lighting and two comfy waterproof bean bags for you to chill out on during the day, as well as a woodburner to keep you snug. This cosy glamping option is perfect for those who love camping but not roughing it. 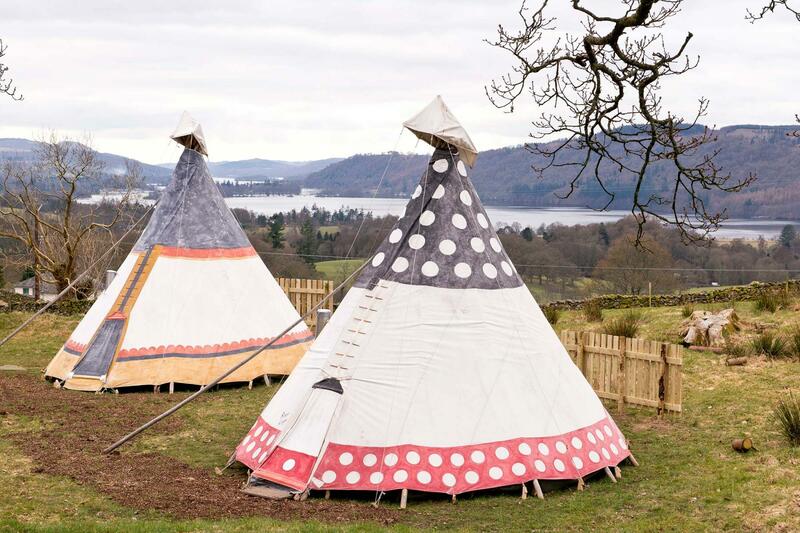 There are four tipis available at YHA Windermere and they are available to book throughout the year for stays between Easter and the end of October. Tipi guests have use of an external toilet and shower block and self-catering kitchens. There are four standard Bell Tents at YHA Windermere, available to book for stays between June and October. These tents include flooring, beds, and basic furniture, plus bedding, and sleep four or five people. Come and sleep under the stars and wake up to the best view in the Lake District. 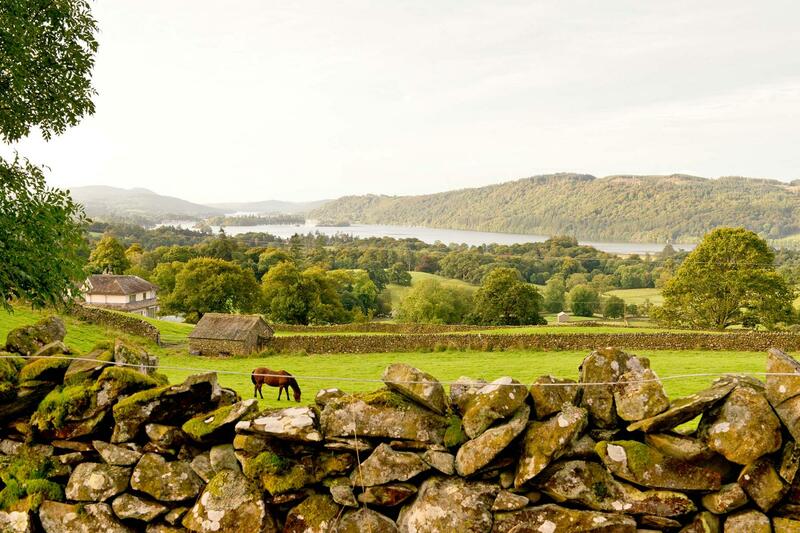 Our campsite is situated on an adjacent field with breath-taking views of Lake Windermere and the surrounding fells. Alternatively we have limited space at the edge of our gorgeous wooded grounds for those looking for a more secluded experience. Camping is available throughout the year. All facilities in the Youth Hostel are open to all campers with 24 hour access via a door code. We also have toilet and shower facilities for campers. There is plenty of parking available - please use the main car park or lower car park. There are miles of bridleways around the beautiful Troutbeck Valley and a challenging ride over Garburn Pass to the quiet Kentmere Valley. Parking: A good amount of car parking is available at the hostel with an overflow car park for busy times. Pets: Dogs can stay on our campsite and in our tipis. There is a £5 charge per dog per night for our tipi accommodation which is payable upon arrival. You can bring your dog for free if you are camping in your own tent. Pets are not permitted in the hostel accommodation at YHA Windermere however, assistance dogs are welcome throughout, please advise upon booking. Invite all your family and friends along to YHA Windermere and hire the whole place to yourself. To do so please visit our YHA Exclusive Hire website. YHA Windermere offers educational geography packages in association with the Field Studies Council. There are also a range of action and adventure activities to be enjoyed in the surrounding area to provide an activity break to your educational visit. The hostel provides group catering and has classroom facilities. The existing Building at High Cross has been a Youth Hostel for over 75 years. Thought to be one of the first buildings in the country to be made of concrete, it was built in the late 1920s and opened as a Youth Hostel in 1935. Originally intended as a private guesthouse for clergy, the present building replaced an earlier wooden building on the same site that was dramatically destroyed by fire in 1915. The owner, vowing that this would never happen again, designed his second house as a more sturdy construction of solid concrete. Known until recently as High Cross Castle, the building derives its name from a stone cross in the grounds. Andy Partridge is the manager at YHA Windermere: "I have been working for YHA for about 10 years, worked at various sites and managed 4 hostels. I love what I do and I believe this shows in the way our hostel is run. 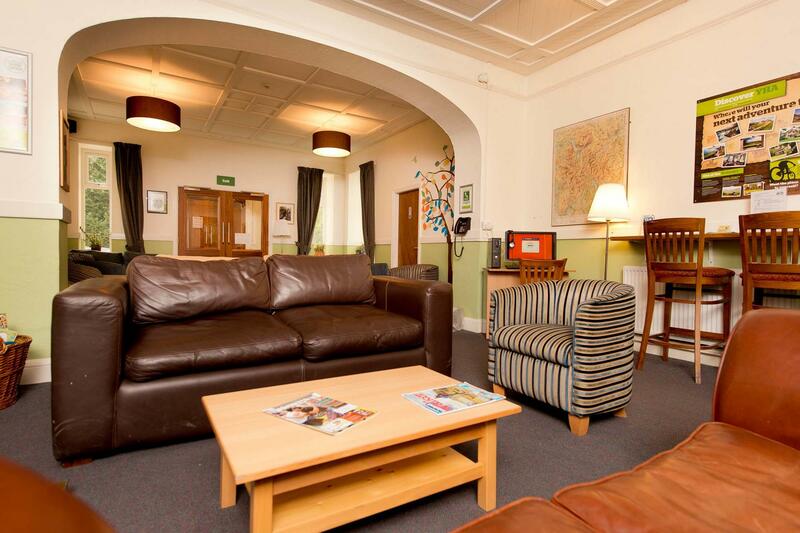 YHA Windermere is a beautiful hostel, it is a tranquil, conformable and relaxing place to be. I love running, walking and exploring the amazing National Park." Manager recommends: Windermere is the gateway to one of the most iconic valleys in the Lake District: Langdale. Both Great Langdale and Little Langdale offer amazing walks, climbing, mountain biking, picnic spots and great pubs. A full day linking the two valleys is highly recommended, taking in Blea Tarn and finishing in Elterwater.